Thailand should be amongst your first choices if you are considering doing a backpacking trip on your own. Not only are its people friendly (the country definitely earns the title “The Land of Smiles”) but also there are lots of things to do and see and experience here. Thailand’s economy is geared towards tourism so the solo traveler will feel welcomed here. Thailand has a well-developed airport system with many connecting flights to and from this country. There are several airlines offering cheap tickets all year round provided that you have a clear plan and book in advance. 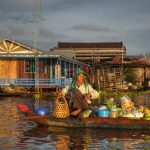 If you are done with Thailand, you can hop on the plane to travel to other countries great for solo travelings like Singapore, Cambodia, or Vietnam. Navigating between the local tourist attractions is also as easy and convenient. Buses are a great choice for transportation as they are very safe and cheap. The signs and bus stops are written in both Thai and English so you will have no trouble going to the right places. If you bring your luggage with you, getting around by bus is not really a good idea. You should consider the metered taxis or even better, take advantage of the Uber or Lyft apps. Be very clear about where you want to go as some taxi drivers don’t speak English well. Night trains and coaches connecting to other provinces are economical as they save you a night’s worth of staying at a hostel while still traveling to a new location. Tuktuks are a pricey but fun way of getting around the city. Out of the available choices, tuktuks are the most expensive but also offer the most exhilarating experience of all. Basically, a motorbike attached to a carriage capable of carrying 3-4 passengers, tuktuks are a fun, noisy, and fume-filled means of transportation. The prices are not fixed and usually overcharged so don’t shy away from haggling. 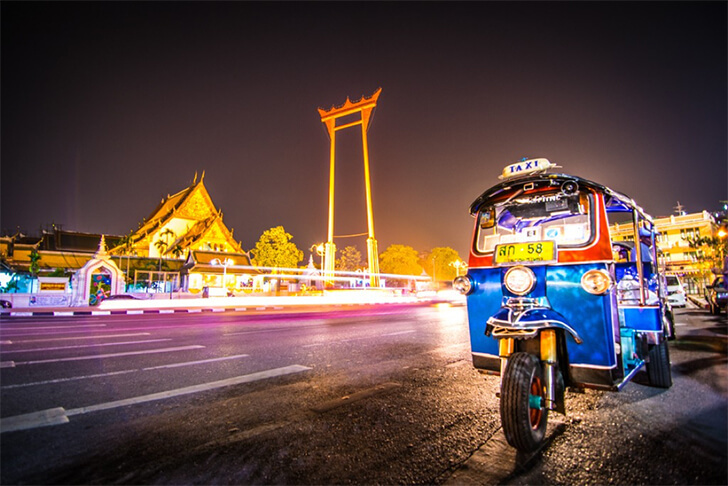 The capital city, Bangkok, is a must-see location on the list of a solo traveler to Thailand. With the outer appearance of a bustling city, there are still layers of ancient culture and traditions mixed in nicely with the cutting edge portions of the modern world. Khao San Road, the backpackers HQ, the Grand Palace, the seat of power of Thai monarchy, and Wat Pho, the temple of Reclining Buddha are some of the places you should see here. The marvelous ruins of Ayutthaya. 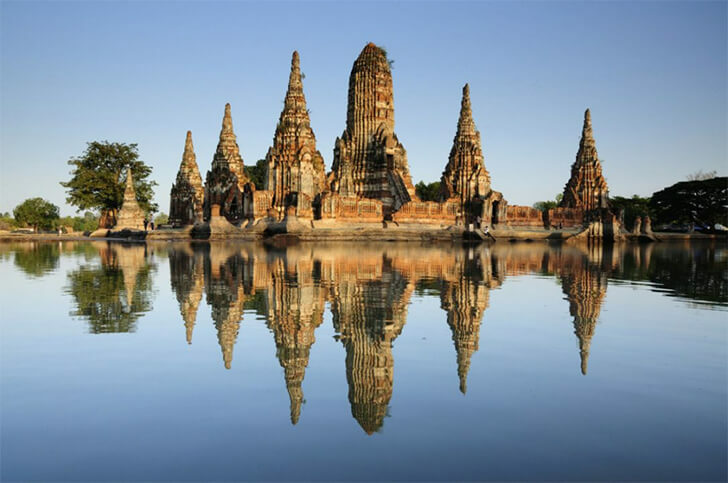 Further north of Bangkok are the ruins of Ayutthaya, a World Heritage Site. A few remains of red-brick reliquary towers and monasteries scattered across the site give a quick glimpse to a glorious age long gone. They are still impressive enough to take your breath away though. Be prepared for some captivating photos when the whole scenery is basked under a golden hue at sunset. 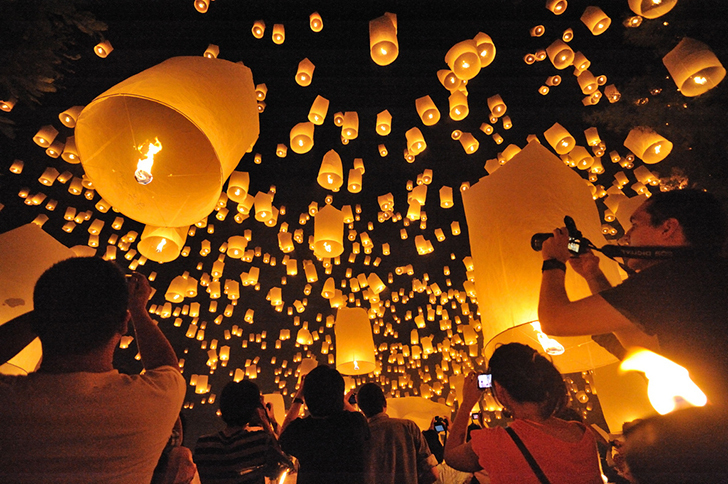 The Floating Lantern Festival in Chiang Mai. Chiang Mai will be next on your agenda if you want to escape to a quieter and calmer Thailand where tucked in a gorgeous mountainous area. There are lots of occasions for festivals throughout the year, so be sure to check the calendar to know what you will be expecting here. Thailand also offers a large array of beautiful tropical beaches. Koh Tao, Phuket, Pattaya are amongst the most famous places for backpackers like you. Thailand’s food barely needs any introduction because of its widespread fame in the world of gourmets. 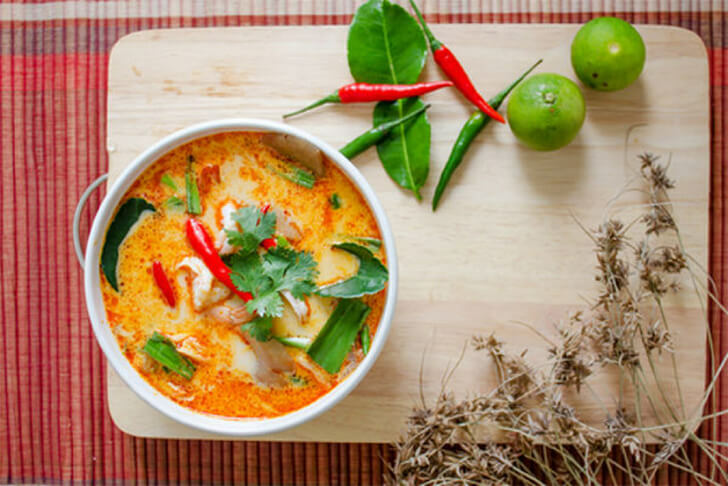 Thai cuisine brings to the table several nuances of exotic flavors and fragrances: from the spiciness of the Tom Yum Goong (Spicy Shrimp Soup) to the sweetness of the Tom Kha Kai (Chicken in Coconut Soup). The world-famous Tom Yum Goong. Surprisingly, all the best dishes could be found literally on the street and with cheap prices to boost. Small mobile food stalls and local night markets attract plenty of locals and tourists. Their menus are often diverse enough to sate your appetite, for example, noodles, fried rice, pancakes, and fruit juices. The atmosphere there is lively and seating is communal so you will have no trouble blending in with the local people. Restaurants and cafes are also a meeting hub for fellow travellers like you. These backpackers would love nothing more than sharing the wonderful stories and experiences on their journeys with you over a beer or two. Maybe you could find yourself an interesting companion here. Being a lone traveler, you should do some research on Thai customs before you go so that you won’t become a nuisance for the locals or violate any unwritten rules. Thai people love and revere their king and they also hold a high regard for the Buddhist monks as Buddhism is the national religion. As an outsider, you should refrain from making any comments on these two sensitive topics, and if you do, do so with positive remarks and the highest level of respect. Remember to dress politely and act accordingly when you visit the Royal Palace or any temples in Thailand. Have a good time, but also have a safe time in Thailand. Being on your own gives you the most flexibility, but it is also a little bit scary. 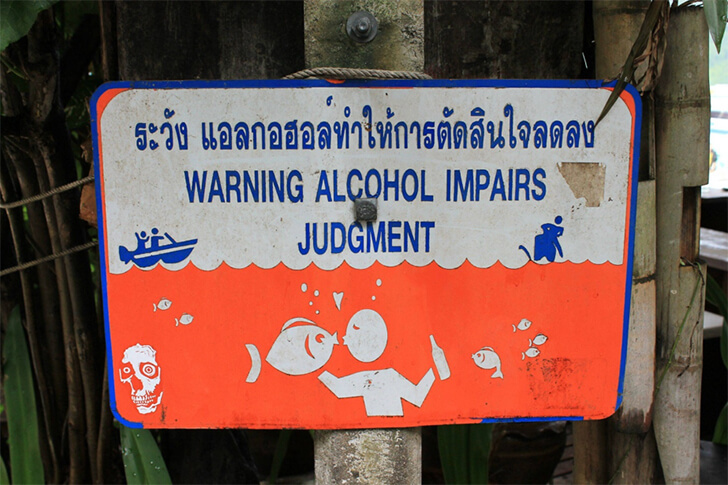 Overall Thailand is a relatively safe country for tourists, although there have been some concerns relating to full moon parties and tribal tourism. But it’s best if you always keep your wits with you. Have someone know your whereabouts and travel plans all the time.Updating your social networking account regularly is an effective way to do this. Keep your precious belongings within your sight and be wary of petty thieves and pickpockets, especially in crowded areas. Avoid dark places and turn down anything (foods or drinks) from strangers. When in doubt, get out immediately. Solo travel to Thailand is an eye-opening, horizon-widening feat for those who are brave and knowledgeable enough to take on this journey. I hope you will learn something to best prepare for your backpacking trip to the Land of Smiles. Do you have any questions or ideas to share with us? Feel free to post your opinions in the comments section below!